Malmesbury Lawn Tennis Club welcomes tennis players of all ages and abilities. 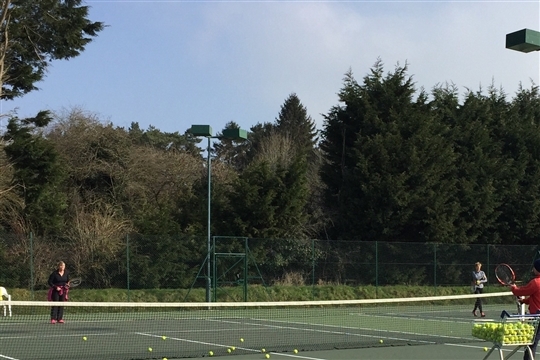 The Club is situated in the heart of the town, just off Tetbury Hill in a secluded spot with views of Malmesbury Abbey and has 5 hard courts, 4 floodlit, a mini court and practice wall. 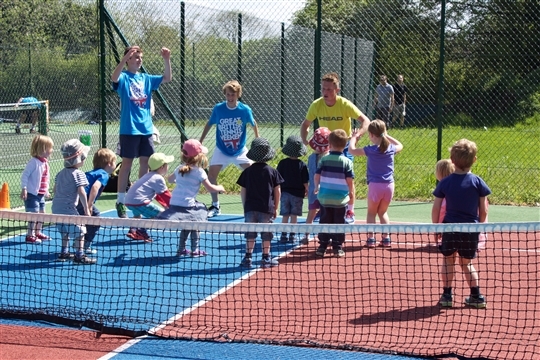 The Club offers social and competive tennis together with a coaching programme to suit all levels of player; from beginners to more experienced players. We have a thriving inclusive coaching programme for Juniors and adults for both members and non-members. 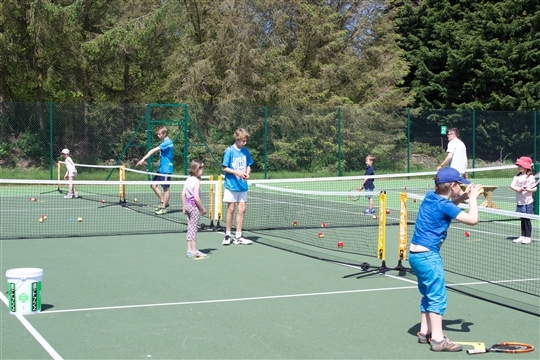 Junior tennis continues to grow and we have strong links with local primary schools and secondary school. 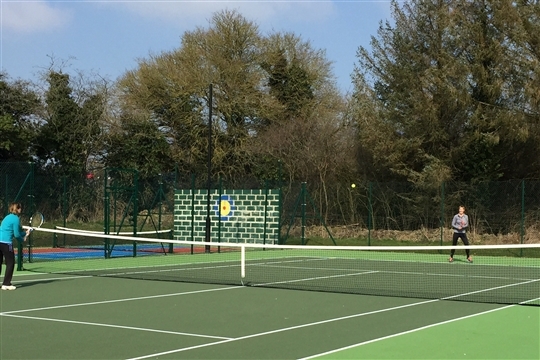 Malmesbury Lawn Tennis Club runs summer and winter Club competitions, social tennis events throughout the year and has Ladies, Mens and Mixed teams in the Chippenham and District Tennis League. Clubs sessions every week provide opportunity for friendly match play on Tuesday evenings, Friday evenings (Mar-Oct) and Sunday mornings. Please contact Georgina Evans (georgina@poodoo.org) for enquiries regarding membership and mltccommittees@gmail.com for any other questions. Why not join and enjoy membership benefits? We have a growing membership with different packages to suit everyone.